Apoorva Gupta the school topper (Commerce) brought laurels to the school by scoring a whooping score of 97.2% in class XII board exams. Apoorva, a down to earth girl with a brilliant foresight is meticulous in her approach. She has always been focused and systematic. Her readiness to accept the latest changes in the syllabus are really praiseworthy. She possesses a numerical aptitude and a special ability to decipher indirect questions. Her success mantra lies in following proper time management, regular practice schedules and taking care of all the do’s and don’ts. Anjali Sharma, the Science topper (95%) of the school has a scientific approach towards studies. She is very quick in calculations and systematic in her study plan. Her sincerity and hard work paved the way to this success. Shalini Mohan Pandey, the Humanities topper (86%) is a plain Jane. A very sincere and dedicated student, her regularity and punctuality have paid off in full. Her logical reasoning and mapping skills (Geography) bore rich fruits. 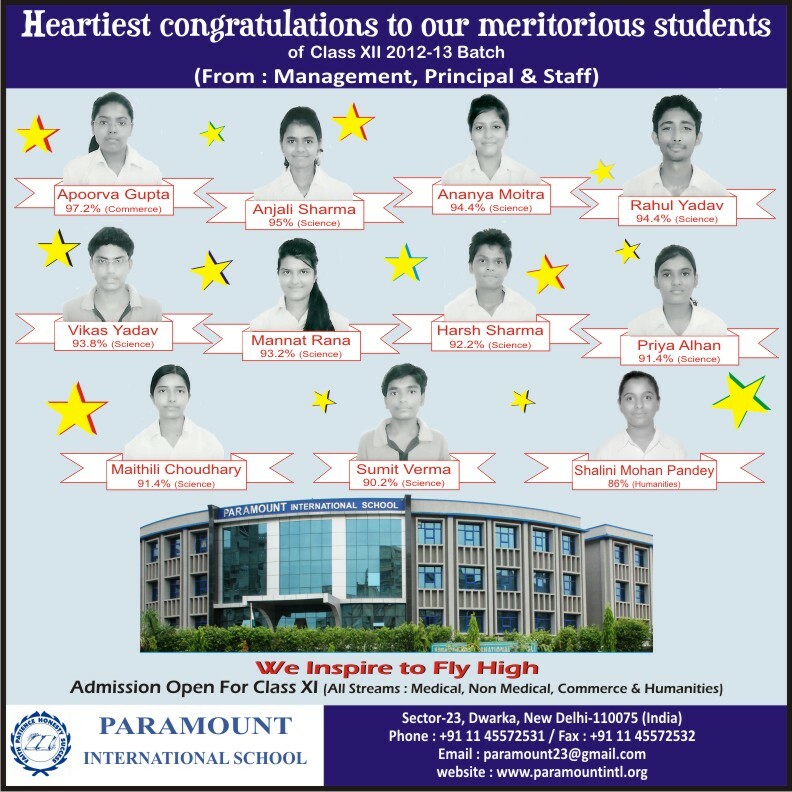 Kudos to the Super Achievers!! FREE EYE CHECK UP CAMP ON 23rd Dec.